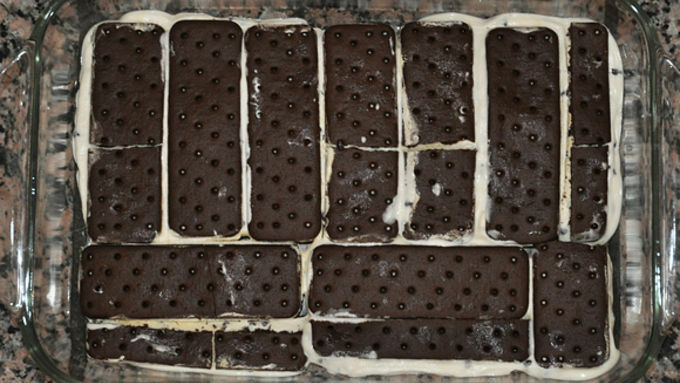 Unwrap ice cream sandwiches and place in a 9x13 pan to cover bottom. Cut sandwiches to fit as needed. You may have one sandwich leftover, depending on the brand of sandwiches you use. 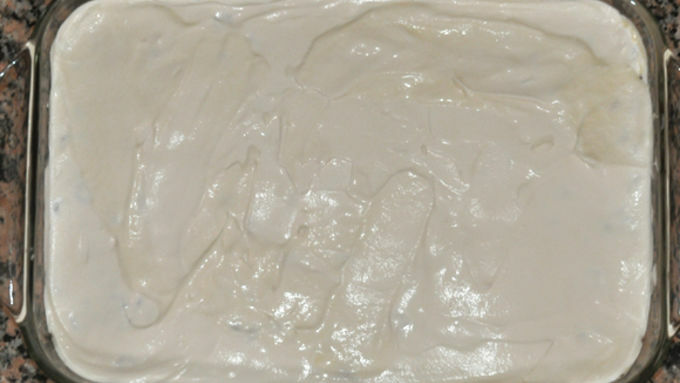 Allow sandwiches to sit at room temperature a couple minutes, then press slightly to spread ice cream to edges of pan. 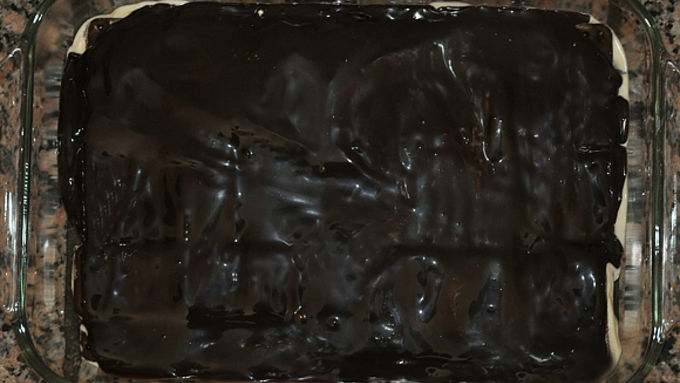 Microwave hot fudge sauce slightly, if needed, so it is easy to spread. Be careful not to heat too much so the fudge doesn't melt the ice cream. Pour fudge over ice cream sandwiches and spread in an even layer. 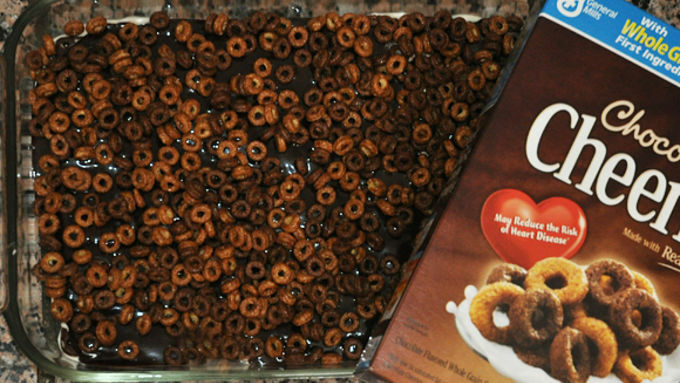 Sprinkle Chocolate Cheerios™ evenly over fudge layer. Spread thawed whipped topping over Cheerios™ layer. 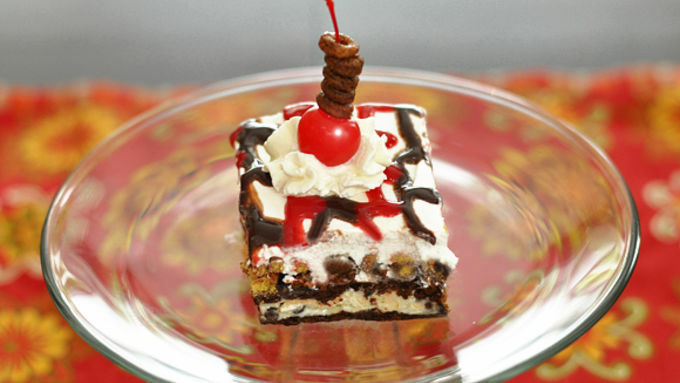 Drizzle cookie icing over whipped topping layer in any pattern as desired. Freeze ice cream dessert for 3 hours or more until firm. (May be made a day ahead.) Allow to sit on counter a few minutes before slicing with a sharp knife dipped in hot water. Garnish if desired (see below) and serve immediately. Optional garnish: Drain maraschino cherries. 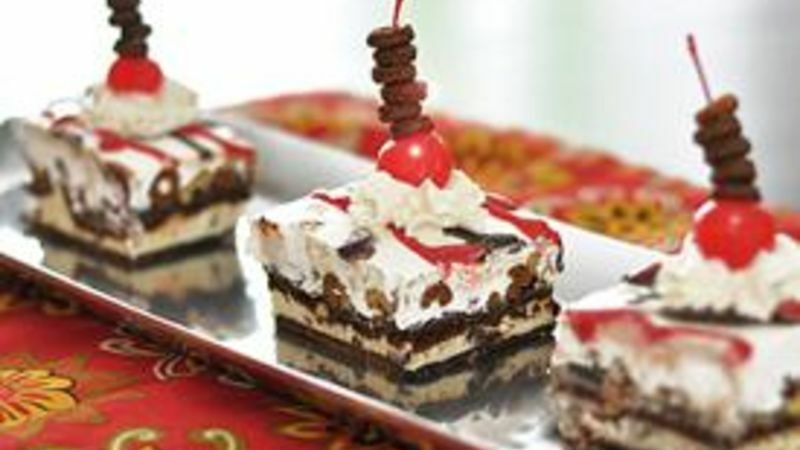 Set a cherry on top of each slice, stem up, and press lightly into whipped topping as needed. Thread Chocolate Cheerios™ on cherry stems and serve immediately. An A-List ice cream dessert recipe made without breaking a sweat. Sometimes life is just so sweet. It's about that time of year that we're all getting a little schizophrenic. We don't want summer to be zipping by, but we're getting a bit tired of some summer routines. Like standing in a long line for great ice cream. Problem solved. You're gonna make this dessert, stick it in the freeze, and invite some friends over for some serious ice cream while summer is still among us. You'll need about 900 seconds (you can do that math...15 minutes!) to whip this Chocolate Crunch Ice Cream Dessert into shape, once you get the ingredients lined up. Then just a few hours in the freezer and ... done. I might have forgotten to mention that this fudgy-crunchy, dreamy-creamy treat is wickedly decadent, too, so don't worry. You'll SO impress those lucky invitees. Simply layer your ingredients, freeze, then garnish. 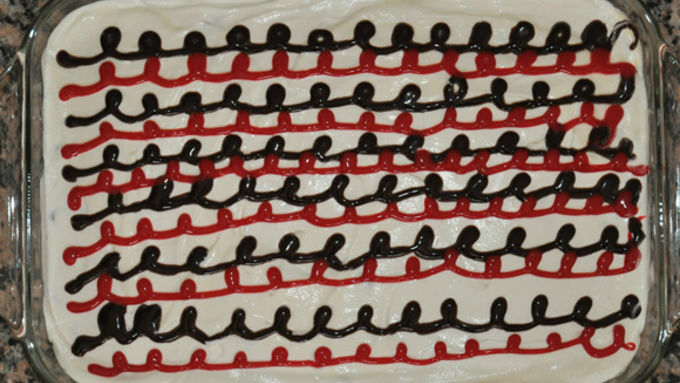 And see how I garnished it with maraschino cherries, their little stems jeweled with Chocolate Cheerios? I KNOOOOOW! Brilliant! Now you're an A-List dessert host, you are. You've arrived!